The studio is under a lot of pressure, but it apparently all comes from within. 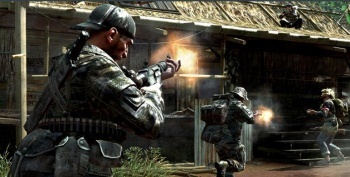 Treyarch's game design director David Vonderhaar says that the studio wasn't intimidated by the record-breaking launch of Infinity Ward's Call of Duty: Modern Warfare 2 when it was making the follow-up. Instead, it was a source of inspiration, and a benchmark for what Treyarch wanted to achieve with Call of Duty: Black Ops. However, Vonderhaar felt that stressing out over exact numbers wasn't the most productive use of his or Treyarch's time. He said that it was impractical for Treyarch to make content with the mindset of selling a certain number of copies. All Treyarch could do, he explained, was try to make content that people wanted to buy and accept that anything else was out of its control. Vonderhaar said that Treyarch was under a lot of pressure to perform, but that most of it came from within the studio. He said that the team was constantly trying to one-up itself, not because of corporate influence, but out of a desire to grow and improve. What Vonderhaar describes seems like the only way to approach the mammoth task of making a Call of Duty game and not go crazy. It seems to have worked too, as the launch of Black Ops was even bigger than Modern Warfare 2. Of course, how much of that is actually down to Treyarch's hard work, and how is down to the power of the Call of Duty brand, is a point that you could debate for days.